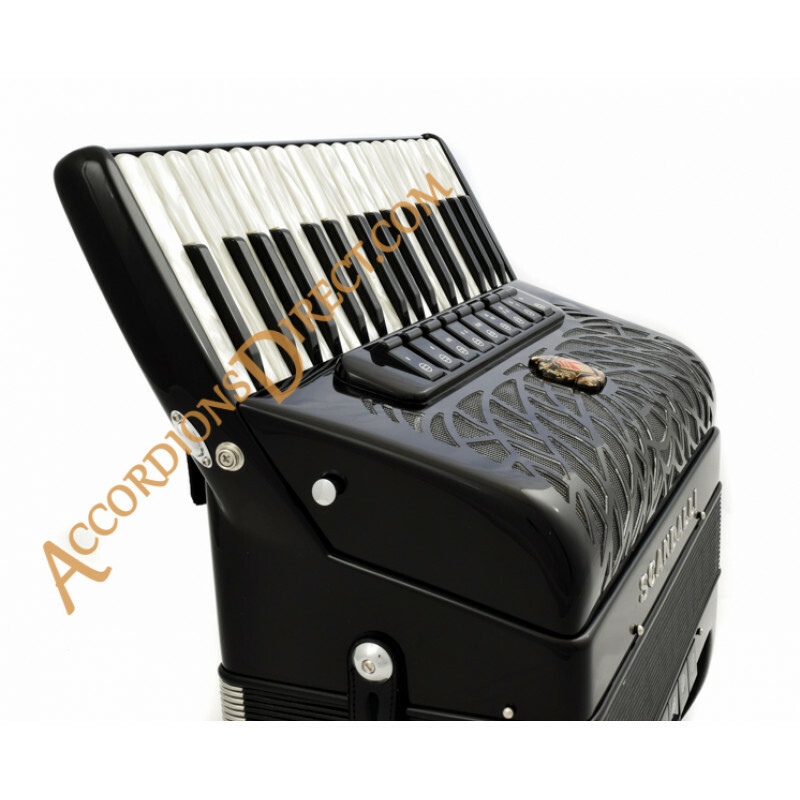 Small cassotto piano accordion. 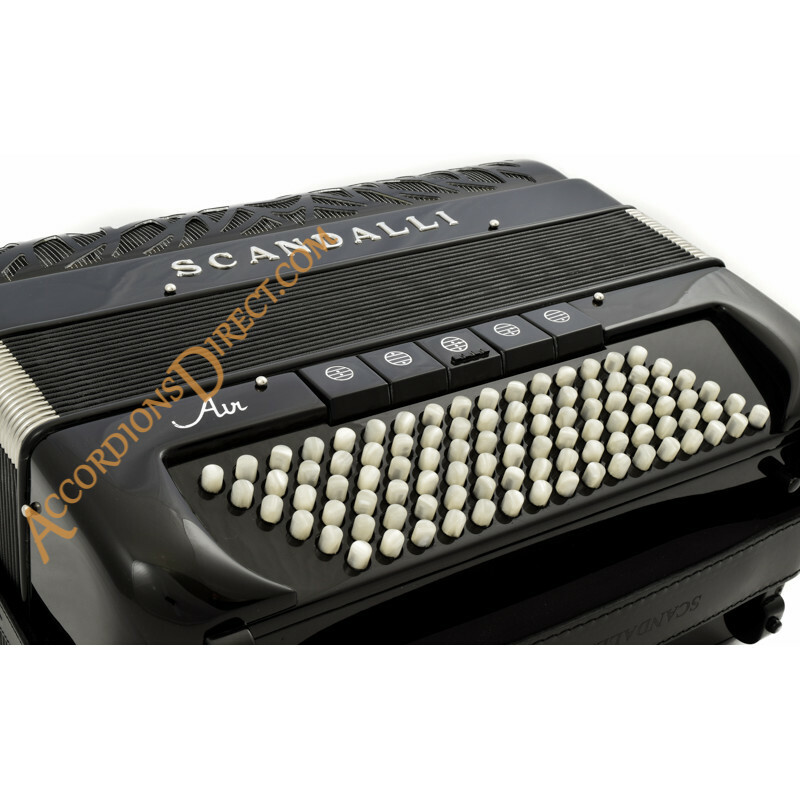 The Air II model is Scandalli's latest design with a very high build quality and superb sound. 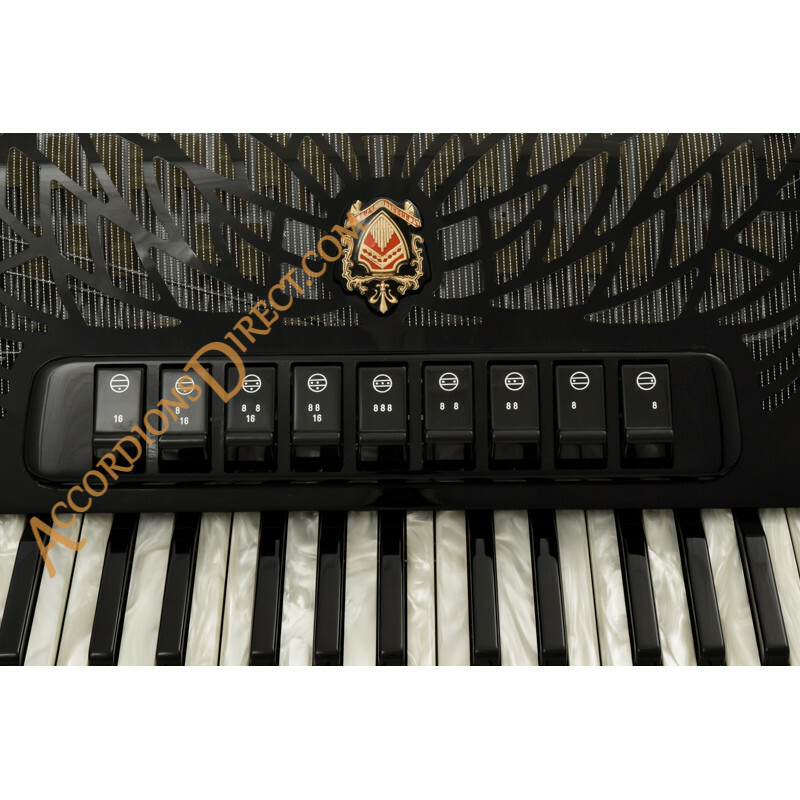 This model is a 34 key 96 bass with the benefit of double cassotto or tone chambers. 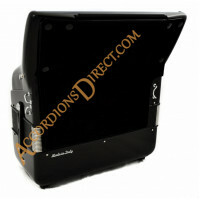 Real quality sound in a more compact instrument. 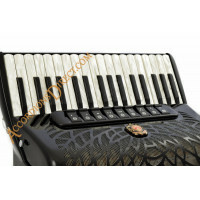 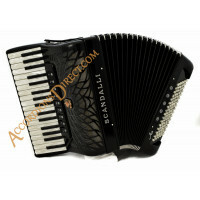 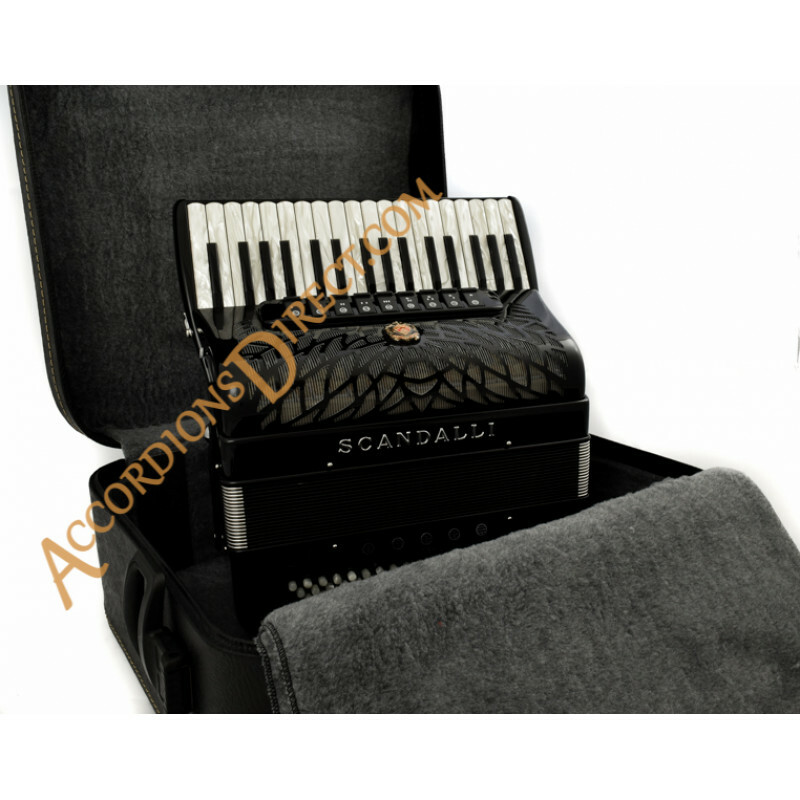 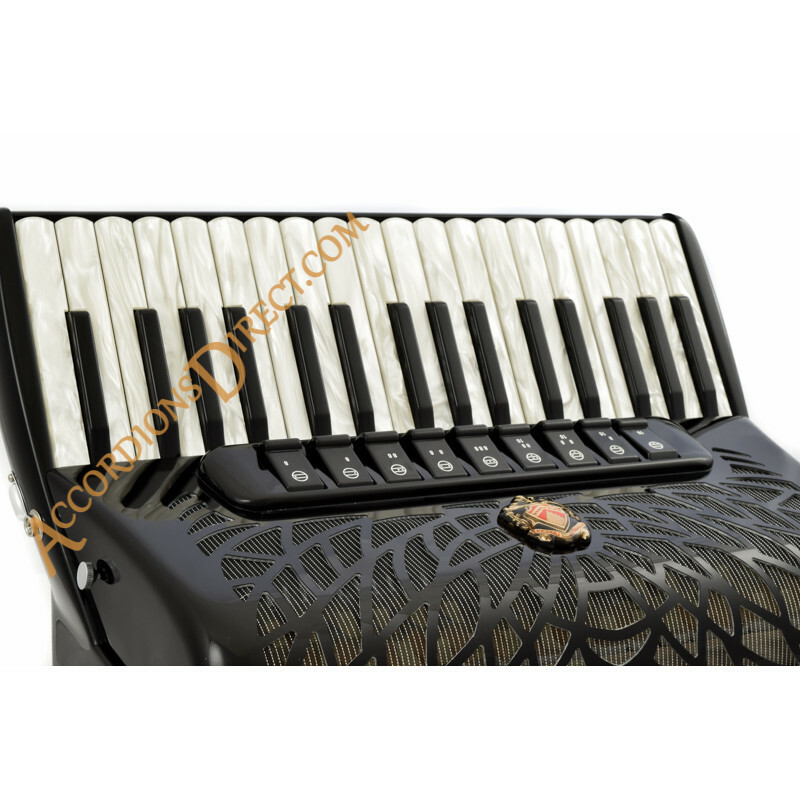 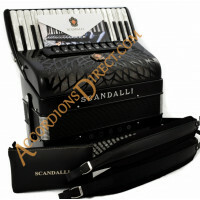 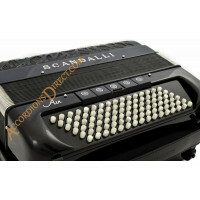 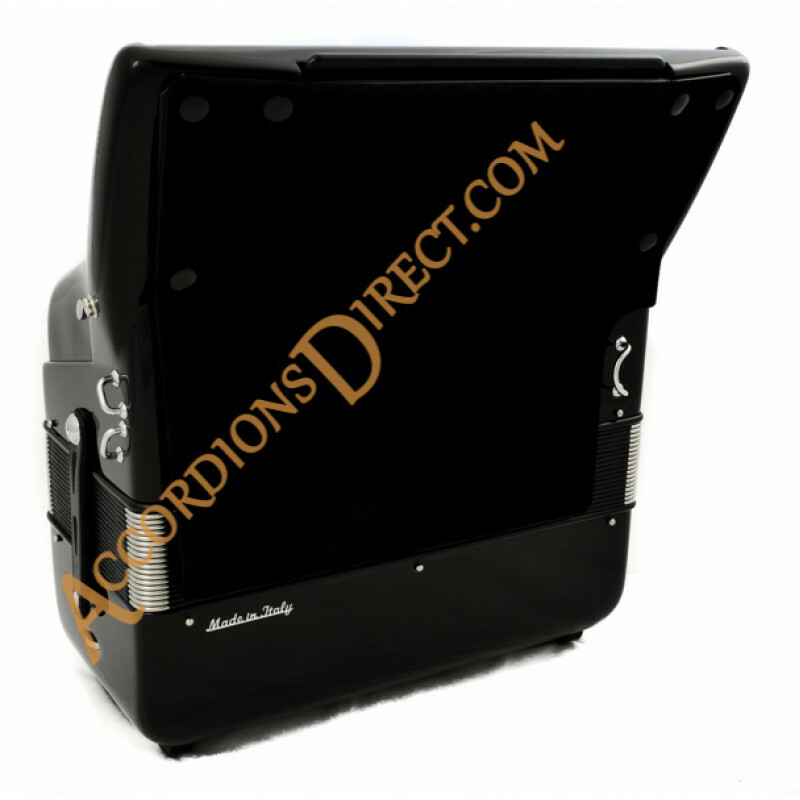 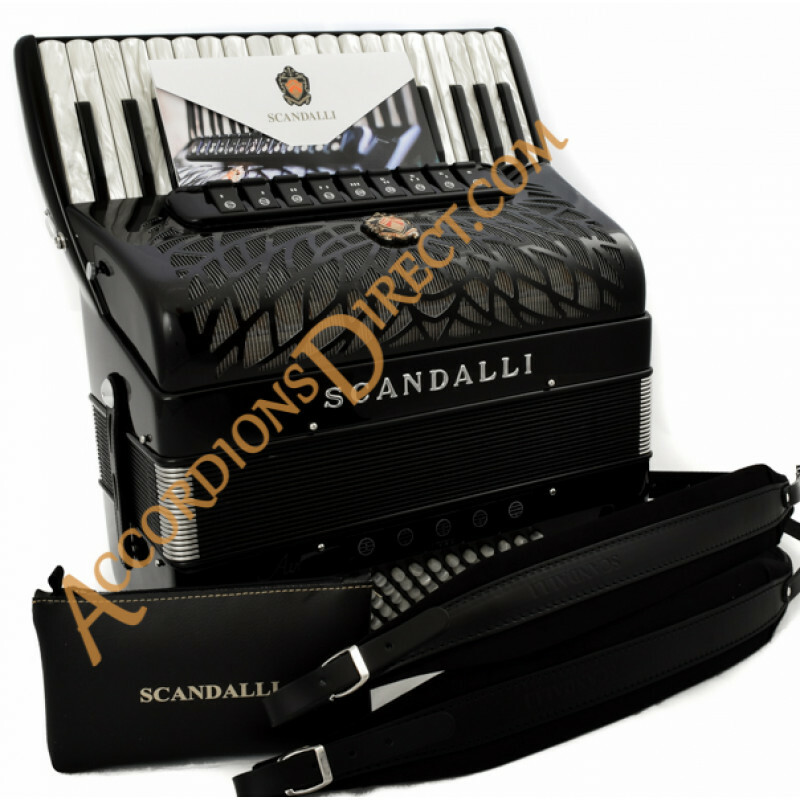 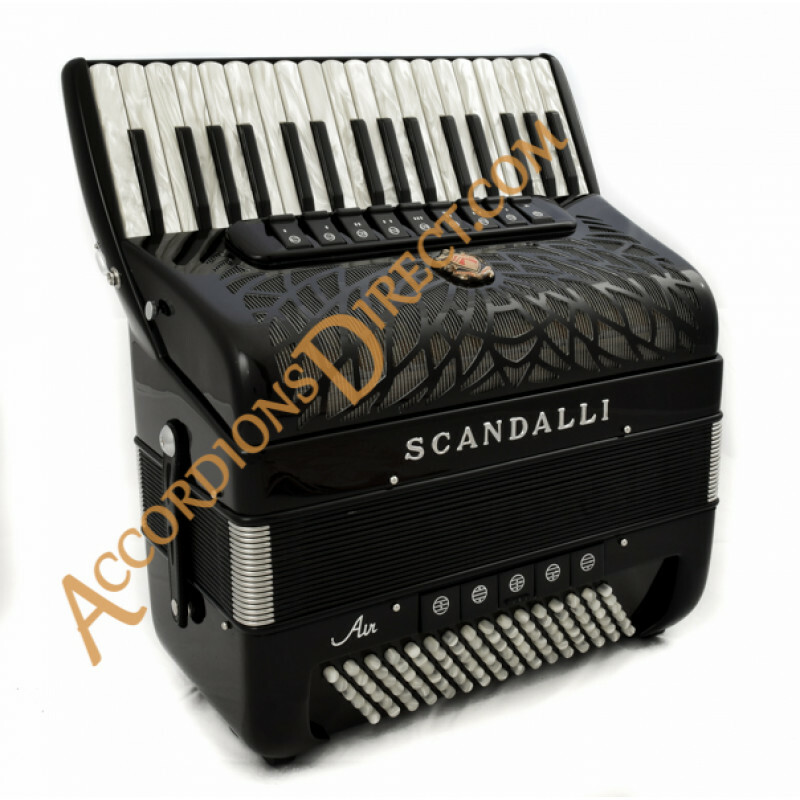 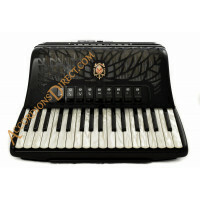 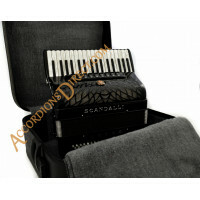 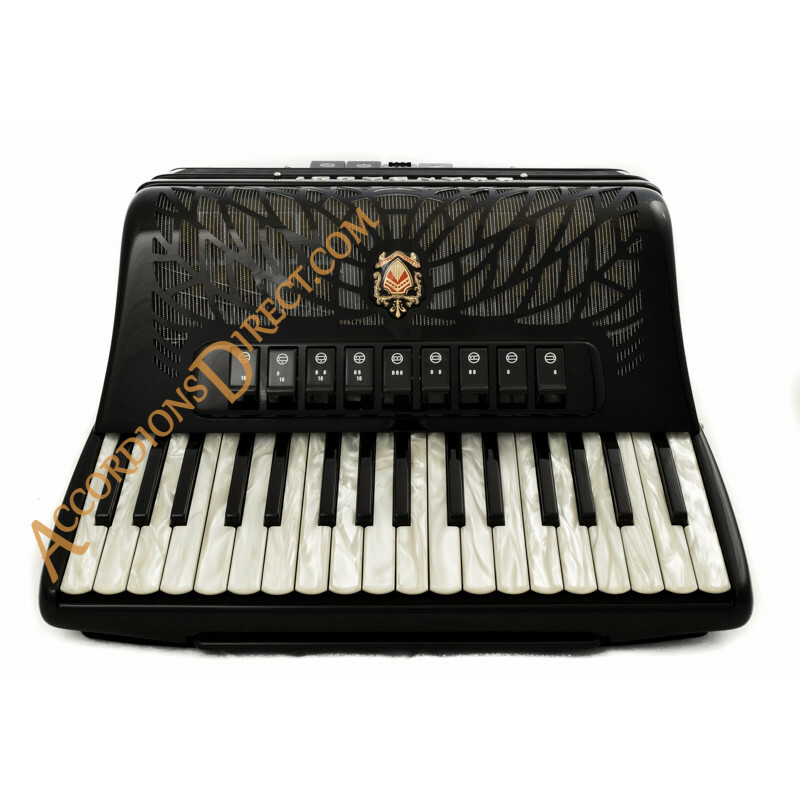 The optional MIDI model accordion offers unprecedented value for a fully acoustic accordion. 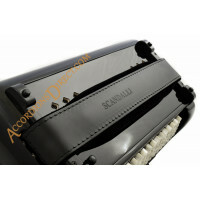 We use the latest contactless midi system with extremely precise sensitivity. 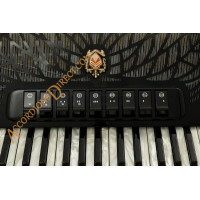 The accordion is ready to connect to any expander.